We are committed to protecting your privacy and keeping your information secure. This policy provides transparent information about the personal information that Alan Croucher T/A ARC Mobile Caravan Services collects, and the ways in which Alan Croucher T/A ARC Mobile Caravan Services uses that personal information. Alan Croucher T/A ARC Mobile Caravan Services processes Personal Data as a Controller, as defined in the Directive and the GDPR. If you have any questions or concerns, you can email us at sales@arcmobilecaravanservices.com. Alan Croucher T/A ARC Mobile Caravan Services will use software and trusted third-parties to fulfil our contractual obligations to you in the performance of our services and completing transactions. By requesting information or delivery of a service and product, we process your data under the lawful basis of contract. Alan Croucher T/A ARC Mobile Caravan Services will ensure they have contracts with them that confirm your data will be processed following GDPR regulations. Alan Croucher T/A ARC Mobile Caravan Services may disclose your personal information to the extent that it is required to do so by law, in connection with any legal proceedings or prospective legal proceedings, and in order to establish, exercise or defend its legal rights. Alan Croucher T/A ARC Mobile Caravan Services has a Data Governance Policy in operation and will take reasonable technical and organisational precautions to prevent the loss, misuse or alteration of your personal information. Alan Croucher T/A ARC Mobile Caravan Services will store all the personal information you provide on its secure servers. We will never provide access to our databases to a non-trusted third party detailed in this policy. 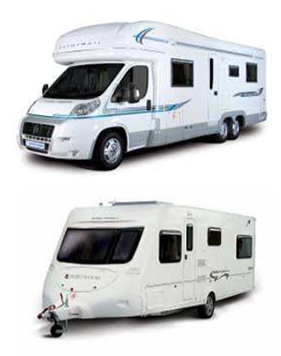 You may request details of personal information which we hold about you, by applying in writing to Alan Croucher, Touchwood, Woodland Road, Lyminge, Folkestone, CT18 8DR or email us at sales@arcmobilecaravanservices.com. You have the right to instruct us to remove incomplete personal data held. Should you wish to request incomplete data removal, please do so in writing to Alan Croucher, Touchwood, Woodland Road, Lyminge, Folkestone, CT18 8DR or by email to sales@arcmobilecaravanservices.com. Should you feel there may be a problem in how your data has been handled, you should contact Alan Croucher T/A ARC Mobile Caravan Services by email to sales@arcmobilecaravanservices.com. Should you still not be satisfied you have a right to complain to the Information Commissioner's Office (ico.org.uk).